The first school in the Poplar Point area was a one-room schoolhouse built around 1873 on River Lot 81 of the Parish of Poplar Point, situated about one-quarter mile north of the former Edmonton Trail, now Highway #26 in the Rural Municipality of Portage la Prairie. It burned down in 1912 and was rebuilt later that year. 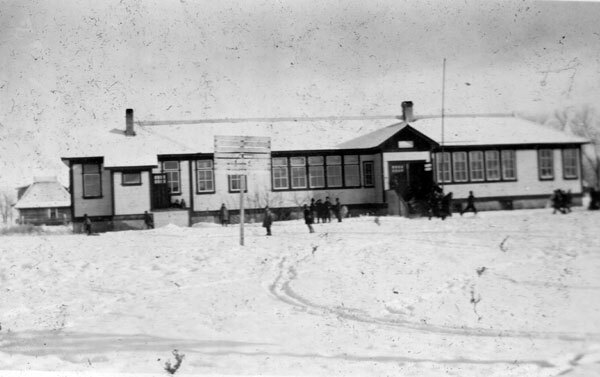 In 1918, the school was moved to the nearby village of Poplar Point where it remained until the building was replaced in early 1955. 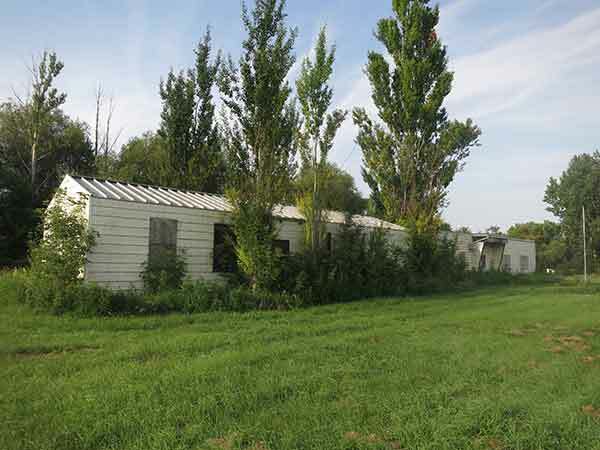 The present four-classroom school closed around 2001. Other teachers who worked at East Poplar Point School included Herbert T. McKinstry, Christopher Roscoe Brown, Mr. W. G. Sanburn, Mr. Robinson, Miss Harvey, Mr. J. Bannerman, Miss McCorrister, Miss C. Christie, Miss Tidsbury, Mrs. Mountain, Miss Totton, Miss McAllister, Miss Armstrong, Miss Berryhill, Miss McCaw, Miss Gahan, Miss Vanstone, Mr. Bathgate, Mrs. Coates, Miss Campbell, Miss Frayme, Miss Thomas, Miss McIntosh, Miss Pollock, Mr. F. Cavers, Mr. C. Voigt, Miss G. Gowler, Mr. R. Bend, Miss O. Bend, Mr. Parsons, Miss H. Garland, Miss G. Wheatley, Miss M. Wilton, Mr. E. Calverley, Miss M. Powell, Miss E. McKinstry, Miss L. Grogan, Miss I. McKay, Miss K. Shorthose, Miss G. Freedy, Miss G. Thompson, Miss M. Bruce, Mr. J. Bock, Mr. Denstead, Mr. Stasiuk, Mr. McDonald, Mr. R. Thiessen, Miss Zellers, Miss Friesen, Mr. M. Boychuk, Miss P. Caldwell, Miss S. Larcombe, Miss Elaschuk, Miss V. Sinclair, Mr. Z. Matiation, Miss F. Bosinski, Miss G. Klassen, Miss L. Perret, Mrs. Rintoul, Mr. and Mrs. Buschau, Miss B. Crewson, and Miss G. Borthistle. GR8461, A0233, C131-1, page 9. “New Poplar Point School ‘follows modern thinking,’” Manitoba Leader, 24 February 1955, page 7. Rural Schools of Portage la Prairie School Division #24 by Muriel Wright, 1996.